323 North Calhoun Street AES, L.L.C. 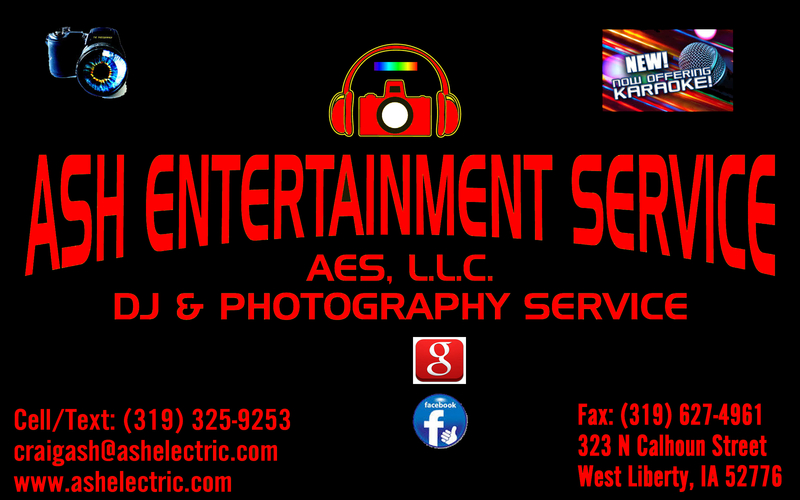 We are Your Premier DJ, Karaoke, and Photography Service! Featuring Dance Lighting, Fog Machine, Fully Digital Selection of over 50 million songs! We use state-of-the-art software which allows our Guests to text pictures, requests, or messages to the DJ right from their phone! These also post on the monitors instantly, allowing Guest interaction. We specialize in making Your Event, Memorable! In Photography, we do Family, Senior, Wedding, Birthday, Graduation, and Events! Any Event You Need... We take hundreds of pictures, edit and watermark them, and send a CD/DVD out. They are copyrighted to you, you print what you want, where you want! Call and Book Us for Your Event Today!